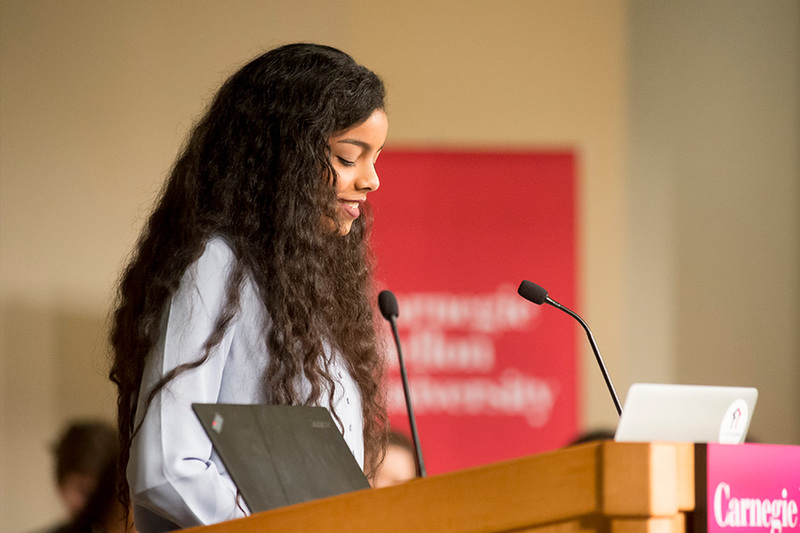 In its 20th year, Carnegie Mellon University’s Martin Luther King, Jr. Day Writing Awards has seen thousands of student-written pieces with topics tackling stereotypes, discrimination, diversity issues and more. Open to high school and college students in western Pennsylvania—as well as students at all CMU campuses—the writing awards serve as a creative and safe outlet for students to have an honest conversation through poetry and prose about their experiences with racial and cultural discrimination. “The 20th year of the awards represents a milestone that we want to acknowledge by getting more students and more schools involved as our society continues to struggle with these issues," said Jim Daniels, the Thomas Stockham Baker University Professor of English who founded and directs the awards. Winning entries will be published and cash prizes will be awarded. Students will be invited to read their work at CMU on Martin Luther King, Jr. Day (Monday, Jan. 21, 2019). Interested students may submit their poetry or prose entries online. Entries should be no more than 2,000 words, and students may submit up to two poems. Questions can be emailed to the Martin Luther King, Jr. Day Writing Awards. The deadline to submit is Friday, Nov. 23, 2018. The Martin Luther King, Jr. Day Writing Awards are sponsored by CMU’s Dietrich College of Humanities and Social Sciences, Department of English and the Center for Student Diversity and Inclusion.